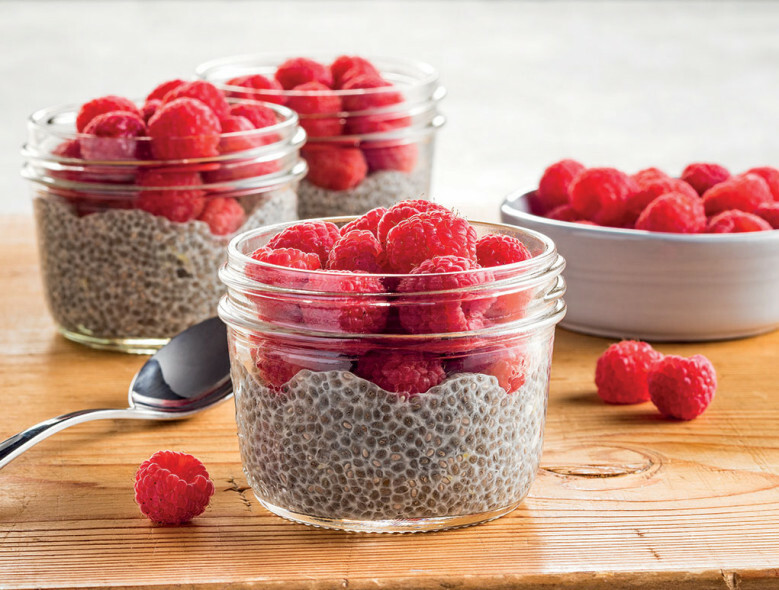 This unique yet easy snack packs in heart-healthy omega-3 fatty acids from the chia seeds, along with other nutrition bonuses like protein and fiber. In a small mixing bowl, whisk together all ingredients except the raspberries. Put mixture in the refrigerator for at least one hour until chia seeds soak up the liquid and it becomes a pudding consistency. To serve, put 1/3 cup pudding in a small bowl with 1/2 cup raspberries.